The Black River flows from Missouri into Arkansas, east of Branson and west of the Bootheel. It meanders where the foothills of the Ozarks begin to rise out of the Mississippi plain. The area was sparsely populated when E. R. Coleman was a young man. Like the population they served, businesses were modest, mostly small, and scattered. Arkansas was still the Bear State; slogans boasting that it was - or predicting that it would become - the "Land of Opportunity" were yet to be conceived. 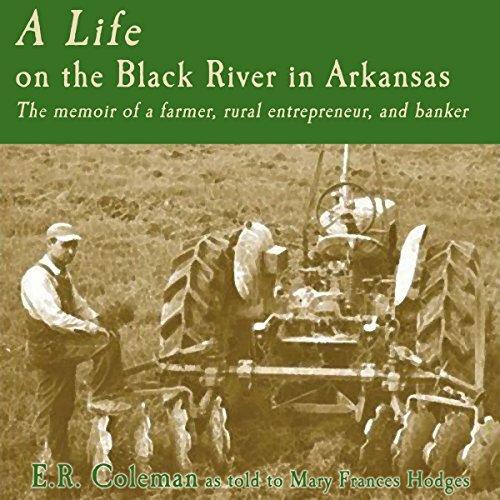 Coleman's early years were shaped by the Great Depression, by a family ethic that dictated working as long as there was sunlight in the day, and by a region bordered on the west by Oklahoma's Dust Bowl and on the east by the mighty - sometimes vengeful - Mississippi River. Told in his own words, this is a genuine American Horatio Alger story of hardscrabble beginnings, working longer and harder than today's youth might be able to imagine, and plain dealing from cotton fields to board rooms.